For successfully navigating what it called "arguably the toughest CEO job in America," CNN on Tuesday named Apple Chief Executive Tim Cook its 2014 CEO of the year. 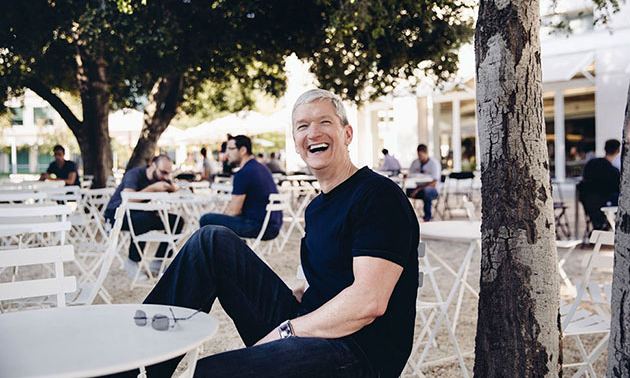 Cook took first place in the CNNMoney rankings, saying the CEO did an "amazing job" at Apple in 2014. In particular, it noted that AAPL stock is up 40 percent this year, and reached new all-time high levels. "He's had to convince skeptics that Apple can still innovate after the death of Steve Jobs," the ranking declared. "He's proven all the naysayers wrong." Also noted in the list was the highly successful debuts of the iPhone 6 and iPhone 6 Plus, as well as Apple Pay. It also made mention of "excitement" for the launch of the Apple Watch in early 2015. Other CEOs on the list who came up short to Cook include BlackBerry's John Chen, Meg Whitman of Hewlett-Packard, and Sally Smith of Buffalo Wild Wings. A number of other tech CEOs also made the "best of" list, but strangely were panned for their shortcomings. For example, CNNMoney slammed Microsoft's Satya Nadella for his "tone deaf comment about women," said that Yahoo's Marissa Mayer "may not deserve all the credit" for her company's success in 2014, and noted shares of T-Mobile are down 25 percent this year under the leadership of John Legere. Cook was also named "Person of the Year" by the Financial Times, which praised him for introducing new buzzworthy product categories and putting morals over profits. Apple's CEO was also a runner-up for Time's own "Person of the Year" award, which was ultimately awarded to "the Ebola fighters."